It’s 30 years since Holden race ace Peter Brock kick-started the HDT Special Vehicles empire. Here’s where it all began. "The thunder has become distant but the lightning is still there." Sure it was a string of less than a dozen words across two pages of Wheels magazine’s ?? issue but that one succinct sentence, adjacent to a picture – in black and white, if I recall correctly – announced the start of a magnificent seven-year era of Australian performance. That victory was the Torana’s last hurrah because waiting in pit lane was the Holden Commodore. And to cut a long story short, the racing bills were to be paid for by the sale of high performance roads cars through those Holden dealers who chose to sponsor the race program. Attaching a racing driver’s name to a road car wasn’t exactly new idea. 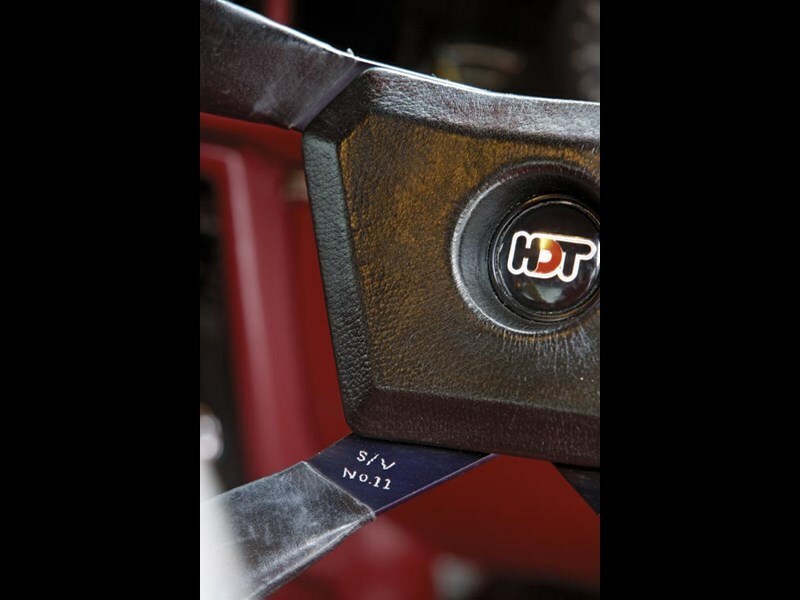 Jack Brabham had lent his signature to a tepid Torana in the 1960s and there was a John Goss Special Ford Falcon… but there had never been a relationship as deep as the one formed between Peter Brock’s HDT Special Vehicles and Holden. And it all began here, with this green VB Commodore V8. "It was the first car [supplied] to Brock," says this special car’s owner and saviour, Sydney’s Jim Middleton. "It started life as a [Holden] company car, a VB SL 4.2. It was all the one colour then, all Sage Green. When Brock did the conversion, Shadowtone [paint] was all the rage so they painted the top of the body the darker green. "Obviously, too, they converted the car from 4.2 to a five-litre with turbo 350 auto and also the larger rear end [axle] housing with a limited slip. Plus there was the engine work, the suspension with the Bilsteins, the Irmscher wheels and body kit." Those were the basics but while under HDT ownership there would have been lots of other fiddling going on to create a special road car to be sold by the dealers who supported Brock’s racing efforts. "At that stage, it [the high performance road car idea] was purely for the dealers but obviously everything had to be done with Holden’s approval," says Jim. "The dealers were upset that Holden wasn’t kicking-in vast degrees of money to the race teams so a band of dealers came up with the idea: ‘Hey Peter, why don’t you build us some special cars and we’ll sell them and fund your race team?’"
One of those supportive dealers, Vin Keene of Adelaide’s United Motors, provided a blue Commodore that was used as an HDT prototype or mule. This is the second prototype and was provided by Holden. "I advertised it in the paper the next day but I sold it to a mate of mine’s step father. He wasn’t really a car nut but he did like things that were a bit different. He drove it to work everyday in Sydney. "I always said to him if you ever want to sell it, let me know. Anyhow, one day in 1993 he rang me and said ‘Ok, it’s gotta go.’ By the time I got it back the left rear door was disgusting; he’d parked it in the same place every day, next to the same car, who opened its door against it on the same spot…"
For a variety of reasons – family, work - Jim’s intention of a relatively quick restoration turned into a 15-year project. "I’m a bit embarrassed!" says Jim. "It only turned a wheel a couple of months ago when I got it re-registered. Jeez, it was painted about 10 years ago. When I bought it back in 1993 you could still buy stuff [new Holden parts] quite readily. I bought everything new; new complete door shells – I didn’t want to just skin them – new guards, bonnet, bootlid, even an exhaust system. I was stockpiling everything." Having been off the road for more than half its life, this very special piece of Australian history shows just 104,000km on its odo. "I had the engine rebuilt," says Jim. "I had the engine out to repaint the engine bay and I thought, why not? That was in about 1995. So it was nearly 15 years until it was actually first kicked into life!" Not having to build the car to a deadline – and having time to save up the money without having the kids go without food! – meant Jim could make the restoration the absolute best possible. 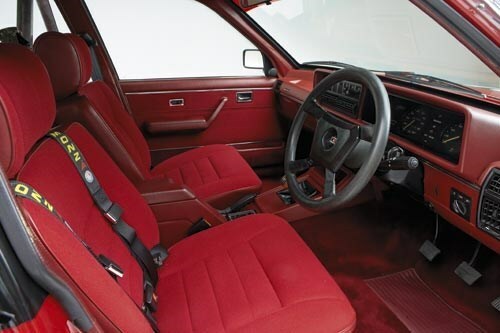 For instance, the original seats were a little tatty (Brock and HDT’s John Harvey had dropped a lit Marlboro or two during the car’s early years) but Jim tracked down a beautiful set of as-new original velour seats and door trims. They perfectly match the high proportion of brand-new Holden components that were used in the car’s rebuild. Jim’s a car nut but subbed-out much of the work. "I’m one of those blokes where if you put a spanner in my hand, I’ll strip both the threads and my knuckles!" Jim laughs. "But I’m happy to pay to have stuff done. I’ve had plenty of help with this – some blokes worked on it as a labour of love – and I got it registered this year, 28 years to the day since I registered it when I sold it last time!" 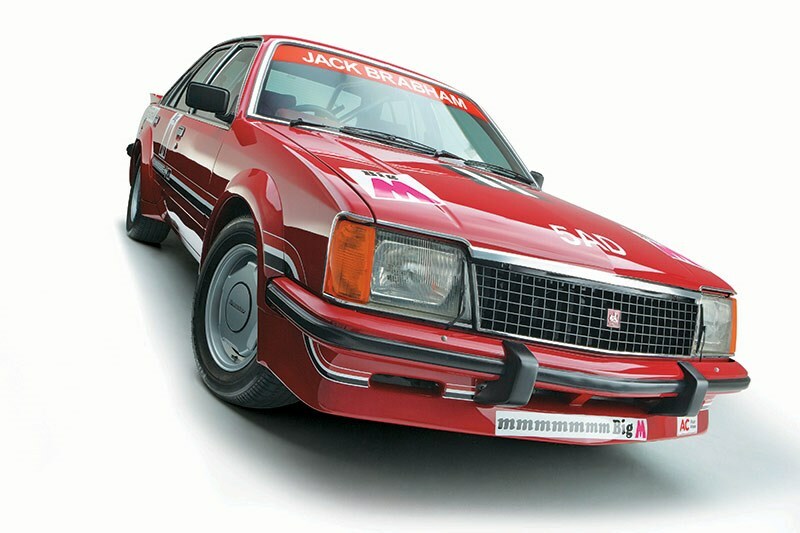 By 1983, Peter Brock’s HDT road car production was in full swing. 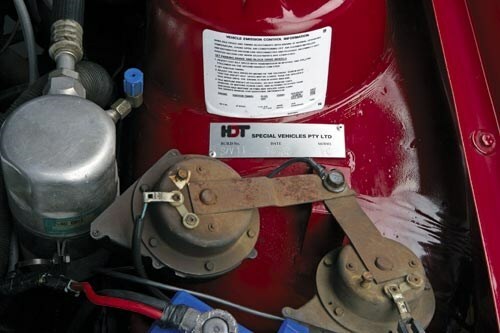 The limited edition VC HDT had been a sell-out and very quickly established the long-term worth of HDT Special Vehicles with the HDT badged cars earning the well-deserved reputation of being things not to be messed with. Sure, Ford had its 351ci (5.8-litre) Falcons and Fairmonts V8s but the Commodore – both Holden and HDT versions - had sophistication. The VH Commodore update – new sharper front and rear lights were the exterior changes - arrived in spring 1981. New to the range (in early 1982) was the Holden SS; bright red or stark white with gold alloy wheels. Recalling a name used on the four-door HQ SS (and later, a Torana hatch) the SS was based on the ripper stripper Commodore SL. The interior was jazzed up – quite nicely, thank you – with herringbone trim and rear headrests. Under the bonnet was the 4.2-litre V8 teamed with four-wheel disc brakes and the ubiquitous M21 close ratio four–speed gearbox. The 5.0 V8 was optional. By then, Holden’s print and media ads began driving away from the dirt roads, meat pies and kangaroo themes of the past and instead capitalised on Australia’s growing fascination with - and declining isolation from - the rest of the world. As well as be sold as a Holden, the plain-jane SS was the basis for HDT’s Group One, Group Two and top-line Group Three models. Heck, the top-line SL/E model was pitched at Volvo and BMW buyers, sprouted as the "European style luxury car that won’t upset your balance of payments". And it was European style that Peter Brock wanted to capitalise on with the HDT Monza. Holden had adopted the four-door sedan and wagon bodies for Australia but for a bunch of reasons didn’t bother with the Opel Monza two-door coupe (or the Rekord two-door sedan). But Brocky – of course – knew the car existed and had driven it extensively – more than 3000km, he reckoned - while in Europe in the early 1980s. "I loved it. It was a very nice car; very well engineered," said Peter of the Monza in a 2002 interview with myself about his project. "And I loved the look of it. It was a good-looking vehicle." So Brocky cooked up the idea of a unique Australian performance car combining European style and quality with Bathurst-bred grunt and handling. How about, Peter surmised, pulling out the Opel six-cylinder engine and stuffing the engine bay full of his top-shelf Holden/HDT V8 straight from the VH SS Group Three? And in 1984, that’s exactly what happened. Peter organised to buy a right-hand drive Opel Monza using some behind the scenes Holden staff assistance. During late 1983 and early 1984 after the car arrived in Melbourne, the car was rebuilt as the HDT Monza. There was some special stuff included by Brock and his HDT Special vehicles team to create the HDT Monza. 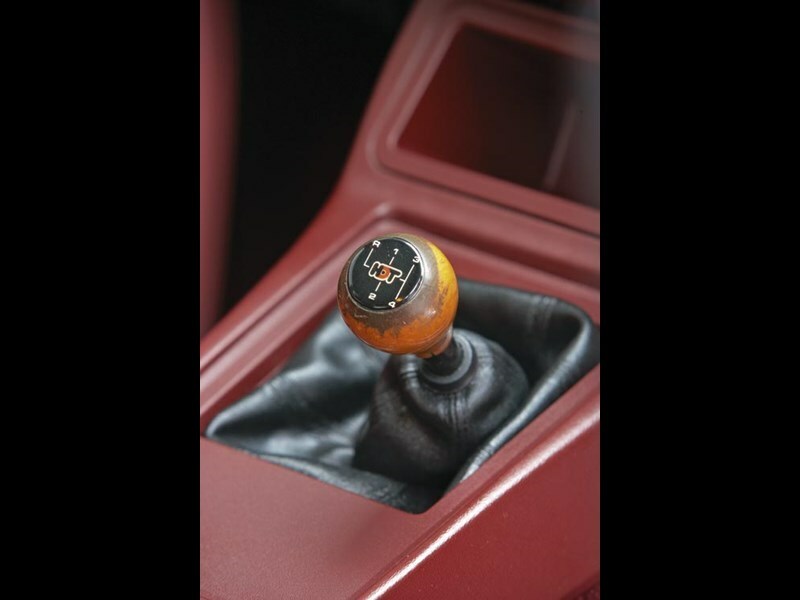 The SS Group Three was four-speed manual; the Monza was a five-speed using the then-new Borg Warner T5 cogbox that was a feature of the 1983 Chev Corvette. Also sourced from the Corvette were the front brakes; although manufactured by PBR/Girling in Melbourne the new stiffer calipers weren’t adopted by Holden until the development of the VL Turbo. They required larger front discs; in this case specially machined two-piece jobs. Using the Commodore’s front crossmember provided rack and pinion steering instead of the Monza’s original box. 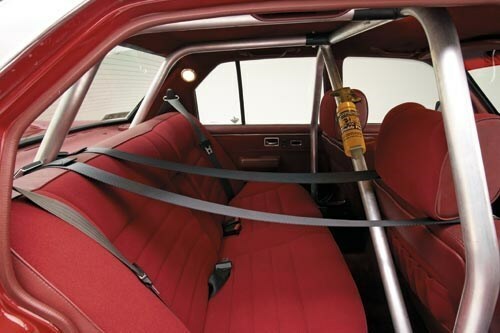 The finishing touch, and the greatest technological leap over the Commodore was the Monza’s independent rear suspension. 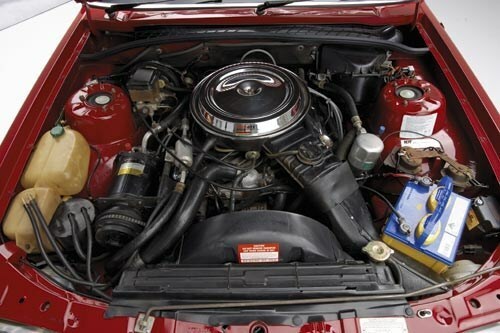 Brock of course retained this design for its good handling – the diff itself was apparently able to use Holden internals – but upgraded it with his favourite brand of dampers, Bilstein. "I ended up going to Opel and I organised how to buy the car in semi-finished condition," said Brock of his ambition to build and sell the HDT Monza. "It was a very old assembly line they were doing the Monzas on, in Russelheim, and it was a double storey job. I walked along the assembly line, and we realised that at one particular point (on the assembly line), it had the fuel tank in it; it had no diff or engine or trans, but it was fully trimmed. So we said, ‘Right. As it turns the corner here, we’ll pull the car off the line and put it in a box and we’re ‘cooking with gas’!" "We could buy the complete rear end with the tailshaft, but we didn’t need gearboxes, didn’t need engines. And the landed price in Australia would have been very cheap. We were set. From memory, the cost of getting the trimmed bodyshell in, no engine, trans, radiator – ready to accept all the Commodore mechanicals – was about $14,000. "I said: ‘Right. We can probably get this car onto the market for about $30-$35,000,’ – about $8000 more than an SS at the time; it wasn’t a lot. We could’ve done it. It would have been way below any two door Euro, even if the dealers had put some more fat in it, and made them $37[thousand]; with a nice 5-litre in it, T5 gearbox, Corvette brakes on the front – which was something the Holdens didn’t have until years later. "Anyway, it was one of those marketing-type decisions where someone [at Holden] said ‘no’." The one and only Brock Monza is now owned by Phil Walmsley, a long time fan of all things fast, Brock, and Holden. He’s the NSW representative of the Brock Commodore Owners Association of Australia (BCOAA.com.au). Phil bought the car from its second owner, his former boss Sydney Holden dealer Paul Wakeling. 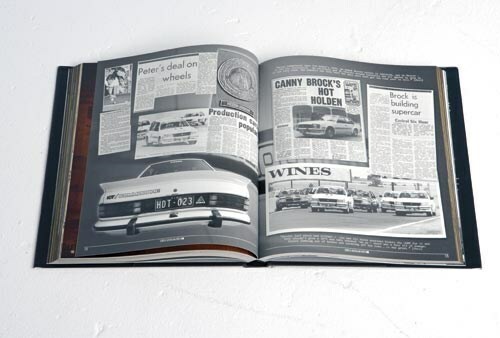 Paul had owned the car since the mid 1980s and displayed it regularly in his Cambelltown NSW dealer showroom. Phil owns other HDT cars but the Monza is – of course – the jewel in the crown. Showing less than 23,000 miles on its UK-spec odometer, Phil cherishes the cars and drives it regularly.